Everyone appreciates the comfort of home cooked meals, but cooking at home also means healthier eating. When you explore meals to cook at home and take the time to prepare food for yourself and your family, you enjoy healthful and nutritious food. You also contribute to the health of your family, the planet, your community, and your finances. Even with the amazing benefits of cooking at home, it is not too common. 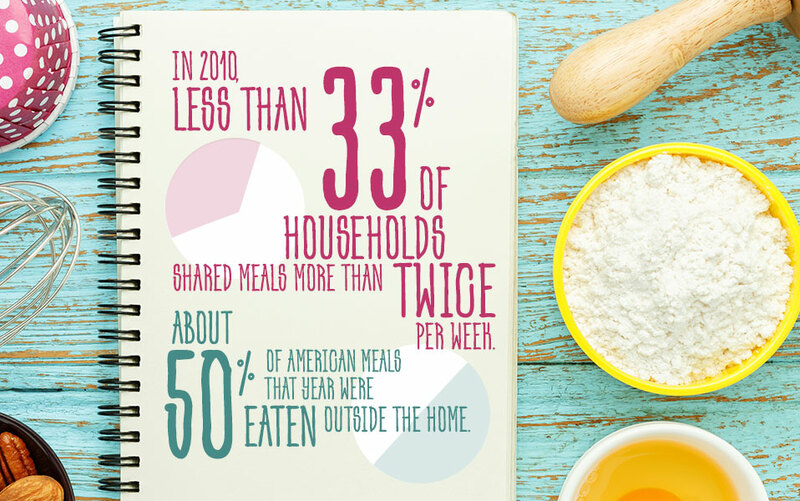 In 2010, less than 33% of households shared meals more than twice per week and about 50% of American meals that year were eaten outside the home. In comparison, in 1900, only 2% of meals were eaten out and most families had dinner together. It’s a sad state of affairs, especially when you consider the many benefits of cooking at home. Here are 12 amazing health benefits of home cooked meals. Restaurants — especially fast food restaurants — often try to offer the appearance of value by offering large portions. In addition, buffet style restaurants present many options that urge people to overeat. At home, however, it may be easier to control the amount of food you consume. There is no pressure to eat everything on your plate because you have paid for it. You can always put it away for later. This can make it easier to eat healthy amounts of food. Eating at restaurants doesn’t only affect your physical health. It can also take a sizeable bite out of your wallet. When you buy your own food and prepare meals at home, you set your food budget and control your food expenses more fully. You can locate the best price on ingredients, shop seasonally and locally, or go to the local farmers’ market to save more. When you order at a restaurant, you receive the quality the chef prepares. When you cook at home, however, you enjoy the quality you feel you and your family deserve. If you want to buy organic products, free-range meats, or reduce the amount of preservatives you eat, it is easier to do so because you choose the ingredients. At home, you can decide how your food will be prepared to preserve maximum nutrition. For example, you can avoid overcooking your food so it retains more of its nutritional content. You can choose to steam or grill rather than fry foods, helping you reduce fat and preserve more of the nutritional value of the food you eat. You can also choose to cook your food in healthy cookware when you cook at home. For example, choosing high temperature Xtrema ceramic cookware products ensures your food doesn’t come into contact with chipped paint, Teflon, and other substances that can harm your health. With some traditional cookware, paint and metals can wear down over time and can chip into your food. In addition, chemicals and trace metals can leach into your food as it cooks. This is not an issue with Xtrema ceramic cookware products. Our 100% green and handcrafted ceramic cookware and bakeware is crafted with natural materials that are non-reactive and durable. Xtrema ceramic cookware and bakeware contains no heavy toxic metals, no cadmium, no lead, and no PFOA or PTFE elements. 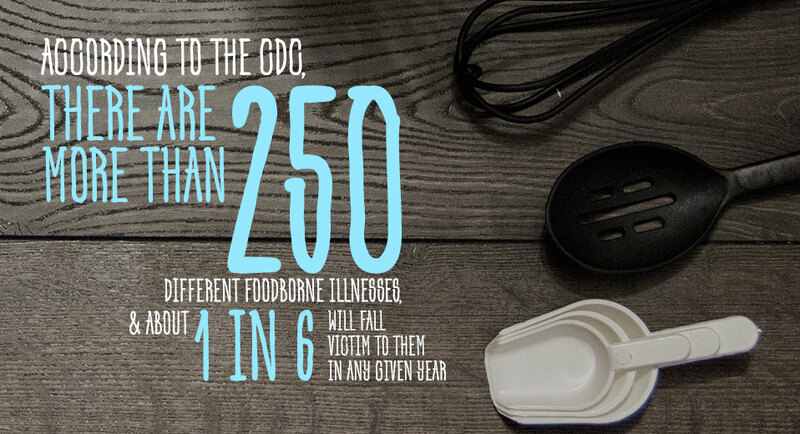 According to the CDC, there are more than 250 different foodborne illnesses, and about one in six Americans will fall prey to them in any given year. While restaurants and other dining establishments must pass health food inspections, people fall ill at restaurants all the time. In fact, there have been many high profile cases of food poisoning at restaurants and fast food chains over the years. Sometimes mistakes happen in the kitchen. When you cook at home, you can better control cleanliness, food safety, and hygiene. You can use paper towels, for example, to prevent cross contamination and to reduce the risk of salmonella. In addition, you can check your food with a food thermometer to ensure you meat is cooked to a safe temperature. You can also ensure you wash your hands carefully before preparing and serving meals, so you and your family can stay safe. Heating foods to high temperatures can also help you reduce your risk of food poisoning. When you cook at home, you learn more about nutrition and food. Reading recipes, cookbooks, and magazines about food or meal preparation gives you insights into how food is prepared, what nutrients it contains, and more. Visiting a local farmers’ market and talking to the producers of your food can help you appreciate the different flavors, health benefits, and varieties of food available to you. As you learn more about food, you may find yourself naturally making healthier decisions about what to eat. For example, when you learn about the wide world of fresh vegetables and fruits, you may become more attracted to fruits and vegetables thanks to junk food. If you have children, you’re teaching them eating habits — even if you don’t realize it. Your children will imitate your eating habits and possibly form lifelong habits related to their own nutrition and health. When you eat together as a family, you can control what your children eat more fully. You can also start conversations about food and nutrition choices, so they learn how to make better decisions for themselves. If someone in your family has a peanut allergy or other serious allergy, you need to be very careful about food preparation. When you cook in your own kitchen, you can exert a lot of control over the ingredients and the preparation of your food. You can ban a particular ingredient from your home if you choose, ensuring there’s no risk of allergic reaction. Many food allergies are life threatening, so maintaining a tight level of control can help you avoid a trip to the emergency room. For the average American, 46% of meals are eaten alone. There’s nothing wrong with eating meals alone once in a while, but studies suggest that eating together can help promote mental health — especially for children. Washington State University researchers Sue Butkus and Martha Marina found that children who grow up in homes where meals are eaten with family are less likely to take drugs, drink, or smoke. They also tend to perform better in school. Other studies suggest that children who eat meals at home may suffer less from psychological challenges. Eating meals together is about much more than nutrition. It allows you to build a relationship, work on communication, and ensure your family stays together as a unit. This can help with mental health and can make everyone feel a little less lonely. Cooking at home is healthy for the body, as well as the mind! Restaurants use utilities and may order foods from far away, resulting in emissions. Most dining establishments waste food because they need to keep a stock of all ingredients for the menu and will need to dispose of any unused food if demand does not meet expectations. At home, you can minimize waste and spoilage by shopping carefully and only buying what you will eat. You can also shop locally to reduce the impact of your grocery bill on carbon emissions around the world. Promoting better health for the planet, of course, can keep you healthier by keeping pollutants out of the air. Shopping locally and eating at home can be good for your community. You support local farmers and local food producers, as well as local grocery stores and farmers’ markets. Eating at home can be good for your community’s health! One of the biggest ways eating at home can help promote your health, of course, is because you can choose healthier options than what you might see in a restaurant. You can also control exactly how much salt, fat, sugar, and additives you add to your food. 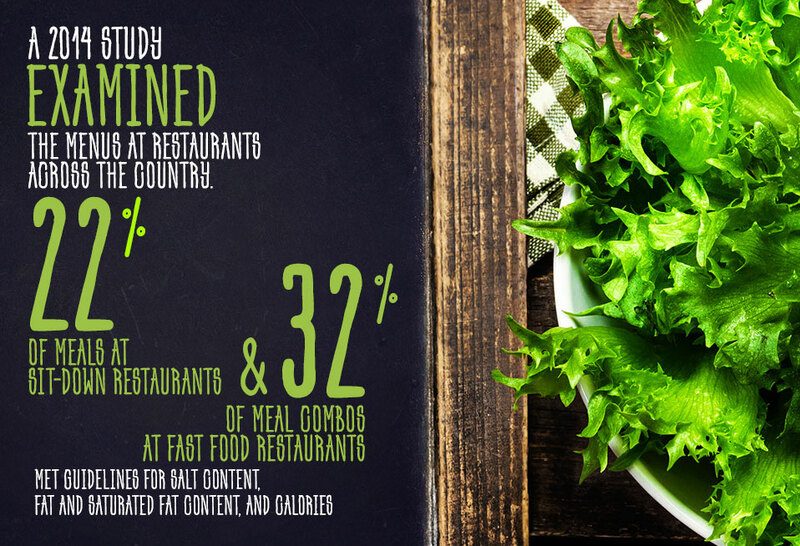 A 2014 study examined the menus at restaurants across the country. Researchers concluded that 22% of meals at sit-down restaurants and 32% of meal combos at fast food restaurants met guidelines for salt content, fat and saturated fat content, and calories. Meals marketed as healthy often-exceeded safe guidelines for salt content and fat, as well. When you prepare meals at home, you can choose healthier preparation options and smaller amounts of salt and bad fats. You can add flavor with spices, juices, broths, and other low sodium options instead. It may be easier to make healthy choices at home, too. When you go out to eat, you may encounter many tempting and high-calorie meal options. They may be hard to resist. When you cook at home, however, you have the option of banning highly processed or high-fat foods from your home. When you start to prepare meals, you have healthy options to choose from and less temptation, which can make it possible to make better choices. Find great places to shop. Check out local grocery stores, ethnic food stores, bulk food stores, and farmers’ markets. Get excited about trying fresh new products, new flavors, and foods you haven’t previously explored. When you get to know the places you shop, you may start to anticipate making your own meals. If time is a factor, consider a grocery delivery service or consider local food box delivery programs. Often organized by food producers or collectives, box programs deliver boxes of local, seasonal food to drop-off locations. They can be an economical and exciting way to try new foods your community is growing. Try recipes that excite you. Browse online and look at cookbooks, cooking shows, and other sources for recipes to cook at home. Start a recipe file, keeping track of interesting meal ideas. Healthy can be very exciting when you take the time to explore delicious and healthful options for you and your family. Having interesting recipes to try on file can keep you on track and can encourage you to cook at home. Purchase what you need to cook healthy meals. Cooking will seem much more approachable if you have all the tools you need. Luckily, you don’t need to make a huge investment. You need some plates and cutlery for serving, some pots and pans for cooking, some containers for storage, and some cooking utensils for stirring while you cook. You can make the process even easier by buying items to do double duty. For example, Xtrema ceramic cookware and bakeware is flexible enough to go on the stovetop and in the oven, fridge, dishwasher, broiler, microwave, and freezer. You can use Xtrema ceramic cookware and bakeware to serve, store, and cook foods. You don’t have to purchase separate items every function, which saves you money and kitchen space. In addition, Xtrema ceramic cookware and bakeware comes with a 50-year warranty against scratching, so you can trust that it is designed to last. Plan your meals. You’ll find it easy to prepare your own food if you plan ahead. It takes only a few minutes to decide what you will eat for the week ahead and jot down the ingredients you will need. This allows you to complete grocery shopping in one trip, so you have everything on hand to prepare delicious meals all week. Prepare your own meals and freeze them. There are plenty of simple ways to save time and enjoy home-cooked meals even on the most hectic days. One secret is to make meals ahead and freeze them. Lasagnas, soups, roasts, and plenty of other dishes freeze beautifully. You can even use Xtrema ceramic cookware and bakeware to cook and freeze items, so you don’t have to worry about making a mess in the kitchen. Are you ready to start reaping the rewards of home cooking? Check out Xtrema ceramic cookware and bakeware. Designed to last a lifetime and made from 100% ceramic, eco-friendly materials, Xtrema cookware is the perfect companion to your commitment to healthy eating.